The British Government failed today in a bid to have murdered Belfast solicitor Pat Finucane’s widow left to pick up the bill for her legal action over being denied a public inquiry into the killing. A judge instead ordered that Geraldine Finucane should be awarded her costs in bringing the High Court challenge. With the overall costs of the case estimated to be in the region of £150,000, the solicitor’s family accused the government of “cheap and vindictive” actions aimed at discouraging them from any appeal against the outcome. In June Mr Justice Stephens ruled that Prime Minister David Cameron acted lawfully in refusing to hold a public inquiry into the assassination. Mr Finucane was gunned down by loyalist paramilitaries in front of his wife and their three children at their north Belfast home in February 1989. Mrs Finucane took the Prime Minister to court after ruled out a public inquiry in 2011. Instead, Mr Cameron commissioned QC Sir Desmond de Silva to review all documents relating to the case and produce a narrative of what happened. However, it concluded there had been no overarching state conspiracy. 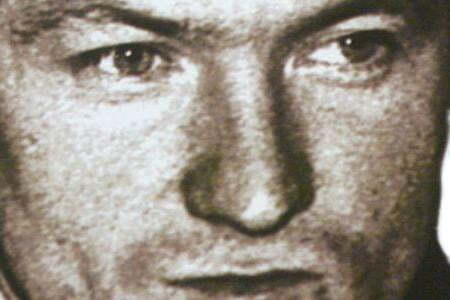 The Finucane family rejected the findings as a whitewash. They accused the government of unlawfully reneging on a commitment to hold a public inquiry. In his verdict Mr Justice Stephens held that Mrs Finucane had received a clear and unambiguous promise that an inquiry would take place. Despite throwing out Mrs Finucane’s legal bid to force the authorities to publicly examine her husband’s killing, the judge also said the State has not fully met its human rights obligation to investigate. In court today he agreed to make a formal declaration to reflect that finding. Back in March 2009 a committee of ministers supervising the European Court of Human Rights concluded that requirements for public scrutiny of the murder and accessibility by the family had been met. But that decision was taken without knowledge of the existence of documents subsequently made available to Sir Desmond. During the hearing counsel for the Secretary of State sought an award of costs of the case. Paul McLaughlin contended that the legal action had been unsuccessfully directed at securing a public inquiry. However, Mr Justice Stephens ordered costs in favour of Mrs Finuane after pointing out that she had secured the declaration. Legal sources predicted that the total bill for the case could reach £150,000. Outside court John Finucane, the murdered solicitor’s son, accused the government of breaking a pledge to order a public inquiry if recommended by Judge Cory. He said: “To then seek to fix our family with the costs of challenging the decision to break its promise, the Secretary of State acted in a cheap and vindictive manner, and sought to deter us from considering a further appeal.